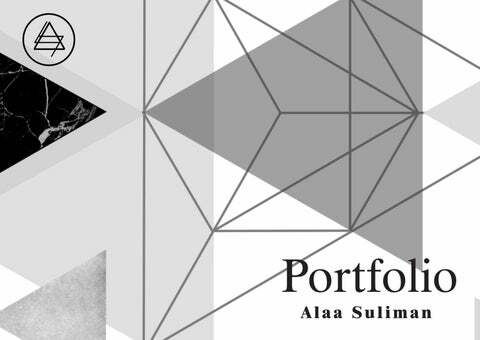 Alaa Suliman Architect Work Experiance High Art Engineering Consultancy JAN 2018, AUG 2018 Internship Architect 7 months of internship programme which includes working on small and medium size scale projects. involved with the designing process across all phases starting from schematic design through plans and elevation design, to the construction documents. Goal The goal of this project is to create a place for lawbreakers and criminals to treat them and lead them to become better persons. Concept the concept of this project is creating an apen and secured place. using the view and natural to help the treatment process. it was drivin from the idea of handcuffs. Project Location The project is located in Al-Ula, Saudi Arabia. 1200 m above the sea level on the highest point in Al-Ula. The site has a view over the farms, which helps through the treatment process as the source of living and for meditation. Structure System The used constructin system is concrete, it cover span of 14m which covers the building proberly. For the bridges a space truss was used to cover high span. Goal : This project was designed aiming to create a place for people who have gone through tough surgeries, where they can recover and heal. Concept : The concept of this project was inspired by the idea of healing and treating of the broken and damaged pieces of the human bodies. Project Location The project is located in Dahran, Saudi Arabia. At the Half Moon Bay near the Arabian Gulf sea. Itâ&#x20AC;&#x2122;s Quite area away from the city noise and pollution, which is suitable for relaxing and recovering. Goal : this project designed aiming to create space where the clients and the people interested in architecture and building filed can find everything they need in one place. Concept : The concept of this composition drived from the explosion, were there is different volums with different hight and sizes bonded at their base by structural shell giving them the needed unity to serve as one structure. Project Location The project is located in Riyadh, Saudi Arabia. Structure System : this structure designed using concrete only with different systems to cover all the needed spans . Goal : It is a group project, cultural project for arts and crafts, consist of four buildings gallery, educational market and administration, all the four buildings are shaded with a large shell covering the whole project, creating a shaded area for pedestrain and bicycles. Concept : Considering the impact of Public transportation, can we let the new flow be the GENIE, an Entity of all possible dreams, liberated from the lamp, an object? Project Location The project is located in Riyadh, Saudi Arabia. Tow blocks area, including residential units, university, the ministry of education and other different facilities and services. Parking Design process : The concept of the parking was, creation more livable and used parking spaces instead of being wasted only for cars and machines. green areas were introduced insides also different functions and activities like cafes and libraries.